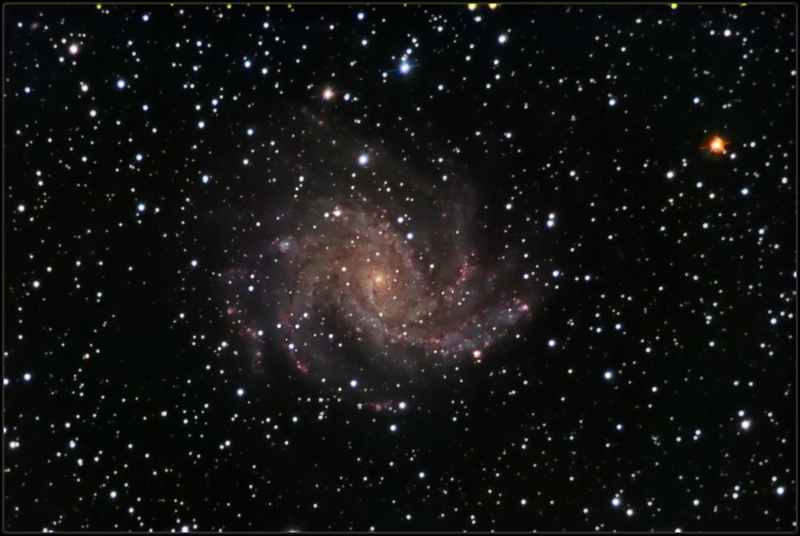 Also known as the Summer Galaxy, NGC 6946 is relatively nearby 10 million light years from the Earth. Image acquired using SBIG St-10XME camera with Astrodon filter set through 12" Meade Lx-200Gps telescope with Astro-Physics reducer. 120 minutes of Luminance, 1x1 Binning.